That’s a bit later than expected, as this past April Microsoft committed to twice-yearly Windows 10 updates in March and September, in perpetuity. Microsoft is missing its very first deadline under the new system—but not by much. No new features were announced by Windows chief Terry Myerson at the event, but that’s to be expected since Windows Insiders have been testing the Windows 10 Fall Creators Update for months now. It won’t be quite as interesting as originally expected, as flagship cross-device features teased at Microsoft’s Windows 10 Fall Creators Update unveiling in May—like an app Timeline and cloud clipboard—didn’t wind up making the final cut. In fact, the Fall Creators Update’s highlight feature isn’t software at all—it’s hardware. The new version of Windows 10 finally brings Windows Mixed Reality headsets to the world, after it was originally teased for this spring’s Windows 10 update. 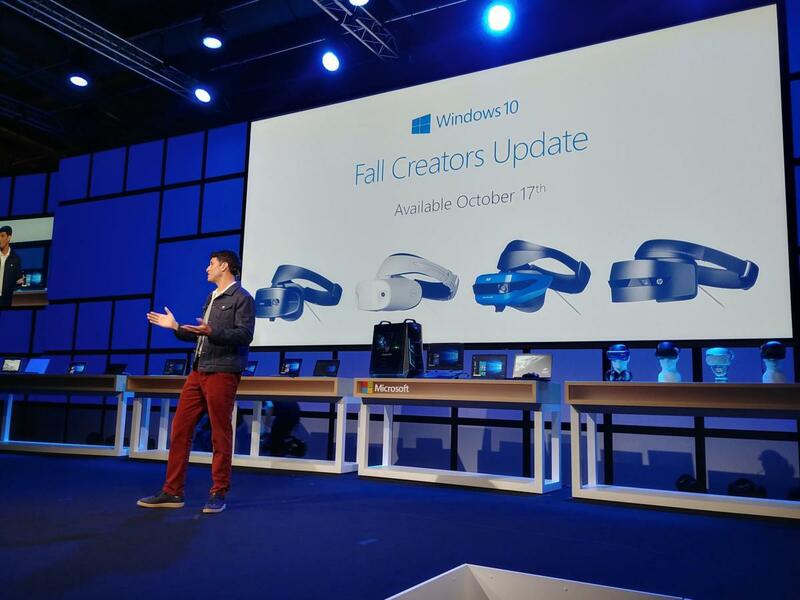 Headsets from HP, Dell, Lenovo, Asus, and Acer will launch on October 17 alongside the update. Prices for Mixed Reality headsets start at $299 and go up from there. 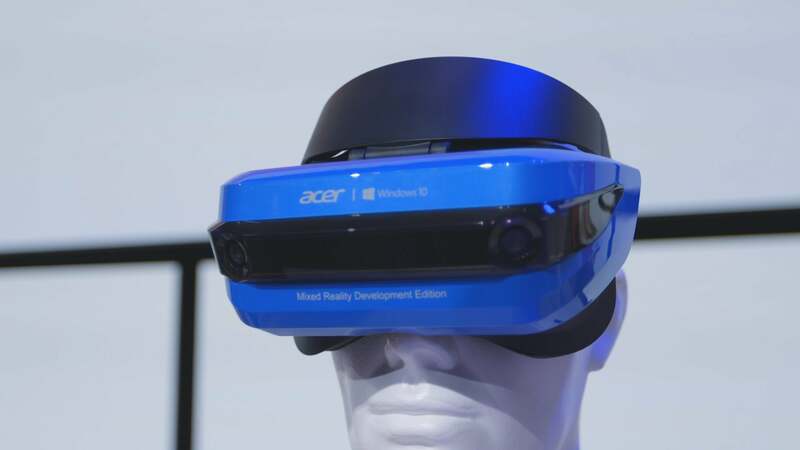 They won't need complicated setup with external cameras, and all will work with Windows Mixed Reality controllers launching at the same time. Acer and Dell have holiday bundles planned that include both a headset and a set of controllers. On the software front, Valve announced that Steam VR is be coming to Windows Mixed Reality as well. 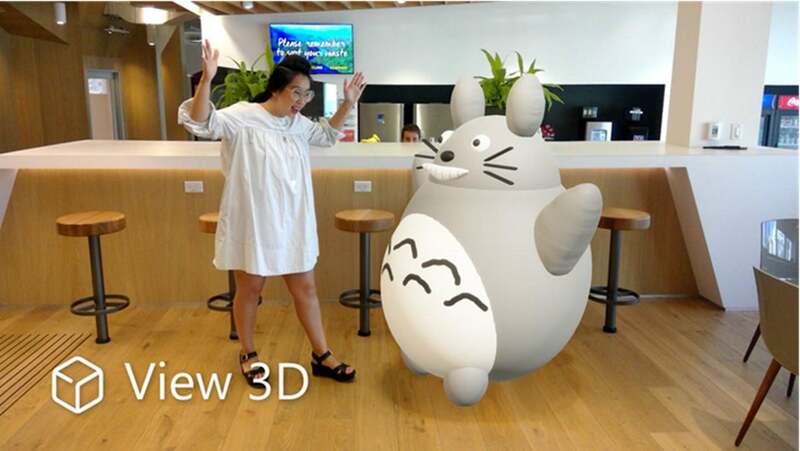 Microsoft’s been pushing mixed reality hard, introducing Paint 3D earlier this year, and the Fall Creators Update's View 3D adds the ability to view mixed reality creations on your device’s screen if it’s equipped with a camera. 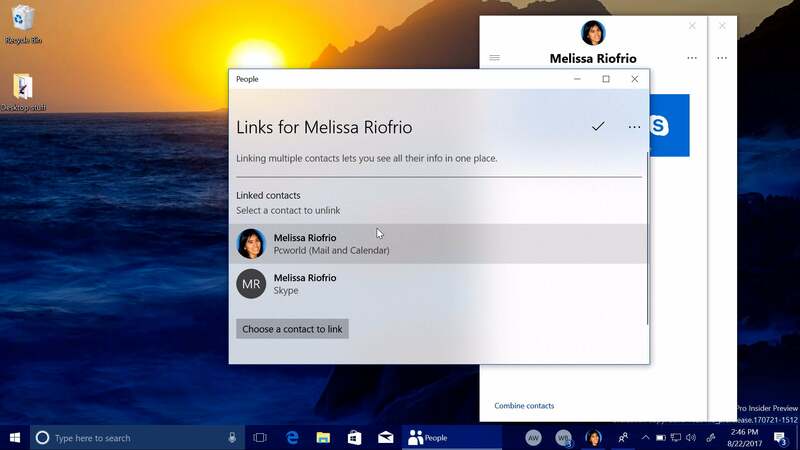 You’ll likely notice the new My People feature when you install the update, as it allows you to select your three best friends and add them as icons in the taskbar for quick and easy contact—though the Insider Preview version limits you to using Skype or Mail alone. Check out PCWorld’s guide to the Windows 10 Fall Creators Update’s best new features for the full low-down on all the new stuff launching with the upgrade on October 17. There’s a lot, from the interesting new Story Remix image editing app and OneDrive Files On-Demand to geekier goodies like native ransomware protection and GPU utilization information in the Task Manager.